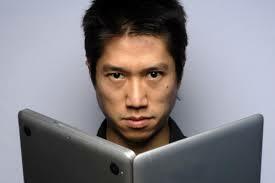 Critics have a love-hate relationship with Tao Lin—some compare him to authors like Hemingway because of his sparse style—while in the same sentence admitting they find something lacking in his work. This sentiment is shared by critics who say Tao Lin’s style has a unique self-conscious voice, but very little actually goes on beyond a minutely observed inner journey of one troubled youth’s attempt to come to terms with his life and love. Without a doubt, Tao Lin has talent. Reading Taipei I find his writing fresh, emotional and original, describing a young Asian writer in New York City analyzing his life while observing the arts scene and today’s always-connected online generation. As for his writing’s identification with drugs as a fascination and lifestyle choice, I hope it doesn’t interfere with a promising career of an artistically committed writer. But given his body of work (Taipei is his third novel) and his endless creativity, I believe we’ll see some good books in the future. 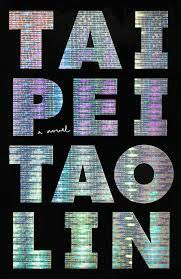 The German translation of Taipei had just been released, and Tao was on a European tour. He described his day starting with breakfast (four kiwifruit), before flying to Zurich from Stuttgart, in a case of life imitating art: Taipei is about an author on a book tour. A shy person, Tao was candid in his answers. Asked about his tattoos—a hamster on his right hand and on the top of his left arm: ‘you will die’—Tao said they were a poetic reminder and form of motivation. On the struggles of a young writer, he explained how he crowdfunded his previous novel. Six people put up $2000 each in exchange for a monthly percentage of the revenue from the books sales (about $40 a month each). He also worked in restaurants, libraries and sold his homemade art to make enough money to support his writing, until he finally found an agent who secured a $50K advance for his latest book. The word Jesus is used as an expletive throughout the book. Was there a religious reason? In America, Tao explained, it’s an expression commonly used to show like, dislike and amazement, so he was only capturing the nuances of the spoken word. The discussion shifted to drugs and the many substances he still experiments with. He mentioned how the ever-expanding Internet imitates the connectedness visible in nature—similar to how he felt when using different psychoactive materials. I asked him if his book’s notoriety came from documenting drug use or the readership’s curiosity regarding a snapshot of a time and place. He said neither—the story was about love, loneliness and self-awareness. I hope Tao continues to move on in his journey as a writer and was grateful to catch a glimpse of the way modern publishing works, as well as a spark of creative energy from a highly motivated and original writer. Definitely someone to keep an eye on.